The Spokes In Motion Wheelchair Tennis Club in conjuntion with Belfast City Council Everybody Active 2020 Scheme have organised a Wheelchair Tennis 'Come and try it' morning on Sat 24th March 2018, 11am-1pm in The Belfast Indoor Tennis Centre, Ormeau Embankment, Belfast. 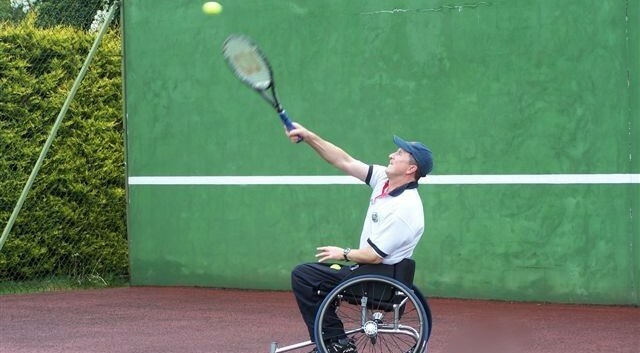 If you have reduced mobility and are unable to play the running game, why not try wheelchair tennis. It`s fun, good for fitness and general well being. It`s totally free and under the supervision of experienced coaches. You will have acces to tennis wheelchairs, rackets and balls. For further details contact: Ivor Jess on 07711 692485 or email ivor.jess@btinternet.com. The event is supported by Ulster Branch Tennis Ireland and Disability Sport NI.